Move Forward. Define clear goals, objectives and progress steps you can measure. Get Approved. Identify and involve key stake holders and people, organizations, and agencies that will influence project approval. Stay on Plan. Set way points on the path forward to compare project trends with original goals. The best way to get started is to let us know you are interested in taking advantage of our free offer for a G2X Project Review. You can do this by sending an email using contact form or calling 815-939-4921. We will discuss your current project status and the information you are able to provide. If you decide to move forward, we will prepare and deliver a G2X Project written report and guide to help you move forward, get approvals you need, and stay on plan. Once completed or when requested, we will return all of your information and maintain strict confidentiality and the G2X Project Review will be yours to keep with no obligation or cost. Why? Why are we offering this valuable service for free and with no obligation? We have found our best business development tool is meeting with other community leaders and professionals and showing first hand how we can help. 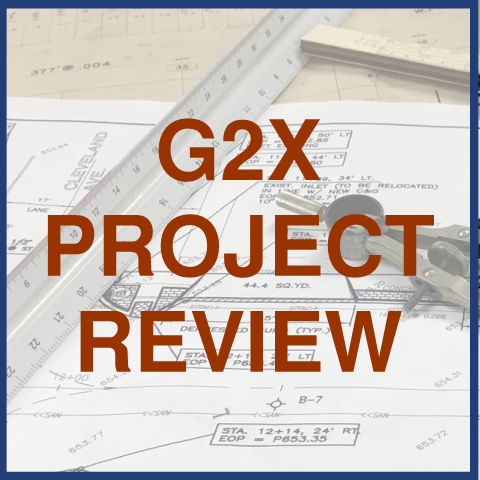 Each G2X Project Review we complete makes us better at our craft and more in tune with clients needs and industry conditions. The G2X Project process is interesting and fun and delivers value. We are confident you will like the review and see direct benefits to your project. We think this will help you consider letting MG2A help with your next project.